In the 21st century, the mobile phone has transformed how we all live our lives. One of the biggest changes has been how fans of sports from tennis to golf, cricket to football are able to enjoy and interact with headline events better than ever before. Throughout the globe, fans are increasingly transitioning towards a mobile-first experience when streaming sports. In fact, a recent Google report titled “Three ways online video is changing what it means to be a sports fan” it discovered that 30 per cent of sports fans say they now stream live sports on their smartphones or tablets. With one of the biggest sporting events – the 2018 World Cup – recently kicking off in Russia, marketers from across multiple industries have all been presented with a significant opportunity to engage with consumers via the phone they have in their hands during games, whether they are supporting Iran, Portugal or England. The last World Cup in Brazil reached 90 per cent of the total population in many countries throughout the globe; even in America it is thought that an unprecedented 100 million tuned in. The audience for the World Cup dwarfs that of the Super Bowl (by almost a factor of ten) and is ripe for engagement. Therefore, the opportunity is there for savvy marketers to reach more eyeballs than ever before. Four years ago, the official FIFA mobile app saw record breaking downloads for the official app that totalled over 18 million globally. At the time it was clear that mobile was opening up new possibilities to reach users than ever before for advertisers. This time round, advertisers who prioritise mobile in their marketing mix, and keep these strategies in mind, will gain significant lifts in loyalty and engagement both during and long after the final whistle of the World Cup. Those fans who are tuned into sporting events are generally already deeply immersed in both the games and the content surrounding them. According to the same Google report, four in five (80 per cent) of fans now use mobile devices to search for player stats and find video replays while they are watching the game on TV. This makes this year’s World Cup an ideal opportunity for marketers to lean into this “second screen” phenomenon seen across everything from sporting events to Love Island to both reach new customers and re-engage with existing ones. Savvy brands are leading the pack, by investing in mobile app ads throughout the World Cup they stand to gain significantly from the already-attentive audience. During both the 2018 Winter Olympics Opening Ceremony from PyeongChang and the Super Bowl, one prominent ride-sharing app capitalised on the trend for viewing parties by increasing its share of in-app ads during the events. As the World Cup kicks off this month in Russia, brands that can reach the captive audience of football fans on mobile will not only increase engagement with existing users but broaden their reach by attracting new users with timely content. Unlike baseball’s quizzically named World Series, the World Cup is indeed a true global event that has viewers tuning in around the clock, around the world to watch their country’s team vie for victory. When the first game kicked off at 6pm Moscow time, fans were at different stages in their daily routines -- from starting their workday in Mexico City, enjoying a light lunch in Brasília, signing off from a hard day’s work in Paris or streaming from the comfort of their bed in Tokyo. Despite location, consumers worldwide all have one thing in common: they will more than likely have a smartphone on or near them at all times. Smart marketers, therefore, are looking to capitalise on this and connect with consumers in the moment, regardless of where and when they are. App data can be the catalyst to change for marketers. For example, marketers using programmatic buying technology can combine device location and app usage data to plan an audience strategy that’s effective on a global scale. With this information, a global restaurant chain could deliver ads for a cup of coffee to fans in Mexico, while offering lunch specials in Brazil and happy hour deals in France. Context is key, but thoughtful planning and creative content mapped to specific regional audiences, such as linking in to high profile games featuring the country’s team or fan favourites such as Portugal or Brazil, can help marketers create winning micro-moments. When it comes to engagement, the World Cup has a unique viewing format among sport; with two uninterrupted 45-minute halves and the entire event lasting an entire month from start to finish (July 15th). With so many brands fighting for consumer attention, marketers need to get even more creative with their content strategy during the games. Video ads, in particular, offer a great opportunity as fans will already be consuming the majority of their content on mobile, so reflecting the same format means a more seamless transition. Mobile video ads targeting second screeners offer one such chance to reach audiences and capture mindshare in and around the various games. 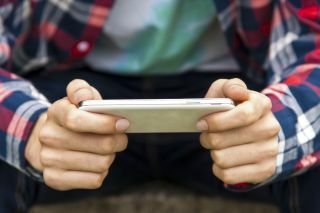 During this year’s Super Bowl and Winter Olympics, we saw that a popular mobile game company increased its share of video advertising by more than 16 per cent week over week – pointing to efforts to capitalise on existing streaming habits. And who could forget Beats’ Game Before the Game video ad leading up to the 2014 World Cup, which reached some 33 million views. The World Cup provides a truly unique opportunity by drawing the attention of billions of sports fans across the four corners of the world. It’s a once-in-four-years opportunity that every brand can capitalise on, no matter who their target audience is. Every major market across the globe will be tuning in, and they’ll be tuning in on mobile. With mobile device users now spending three hours a day on average in apps, there’s no denying the power of this channel to drive engagement. By focusing on strategic planning, creative content and data-backed strategies for mobile, any brand can win big.